I bought this card on 10/31, but it never arrived. I was going through some of my cards to get my ebay scan done and saw on my purchase history that it was never marked shipped, but had an expected delivery date of 11/10 or something like that. Well, I opened an issue and sent a message asking them to confirm when it was sent, and the next day it was marked as shipped (no contact or message back) and it came a few days later. 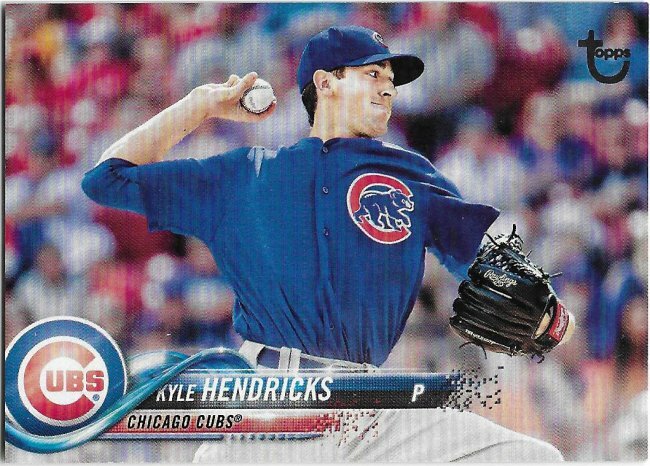 I deal with free shipping sellers quite a bit, so the PWE is expected, and honestly the Hendricks was the first quasi-problem I’ve had. I’m sure I’m just lucky. Most of the stuff comes in bubble mailers though. I’m not sure which one this Silver came in. 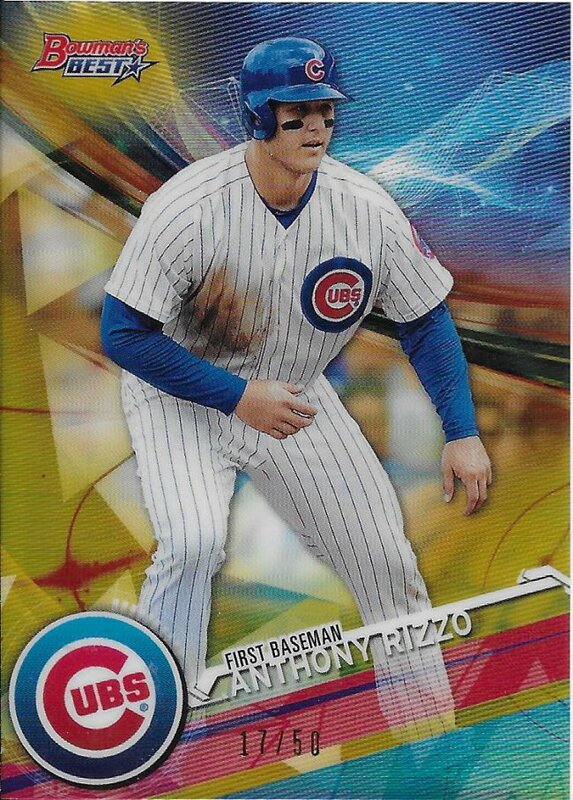 I got the Bryant before, now it’s Rizzo’s turn. 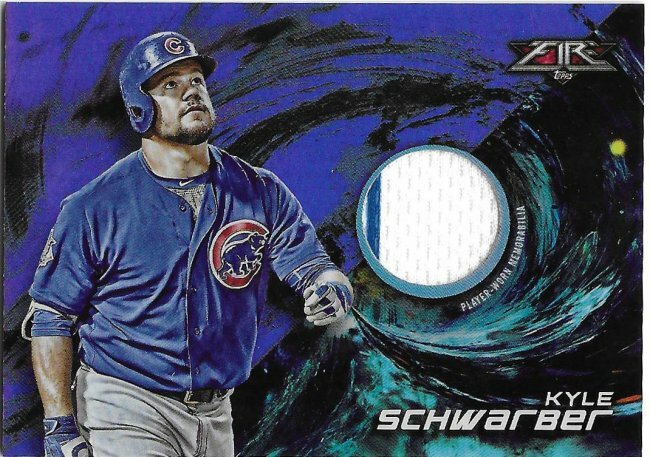 I have to believe that part of this is the Bowman name and how collector’s don’t care about non-prospects even if it’s a low print run. I’m not looking forward to seeing whatever new layers of parallels they add to Chrome next year. 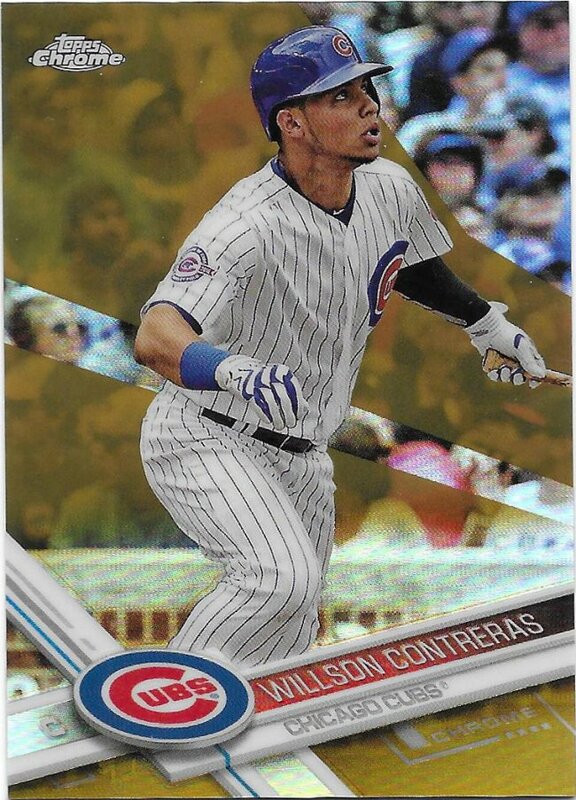 This was the year where they started putting in both gold (this) and gold wave refractors (not acquired yet). I’m so far behind on chrome stuff already. 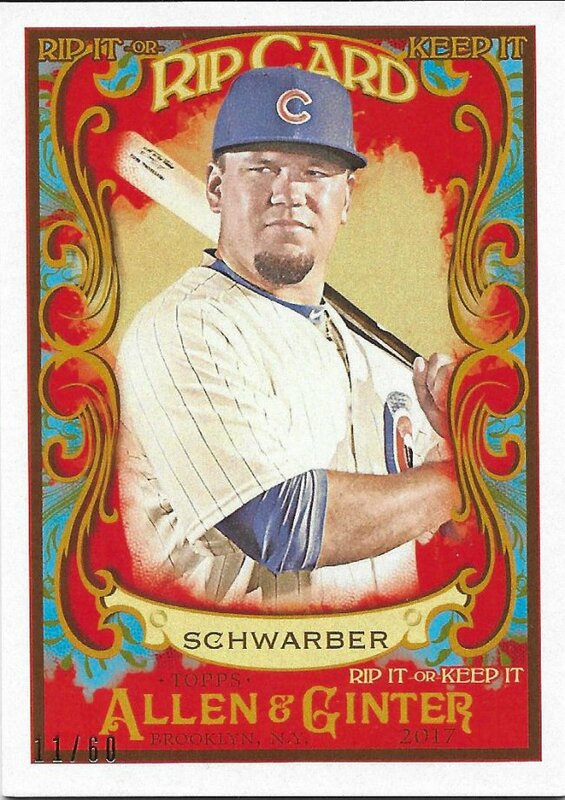 I didn’t open any Topps Fire myself. I joined a group break and got my base set that way. Now it’s time to slowly pick up the numbered stuff, starting with this R1220 purple. 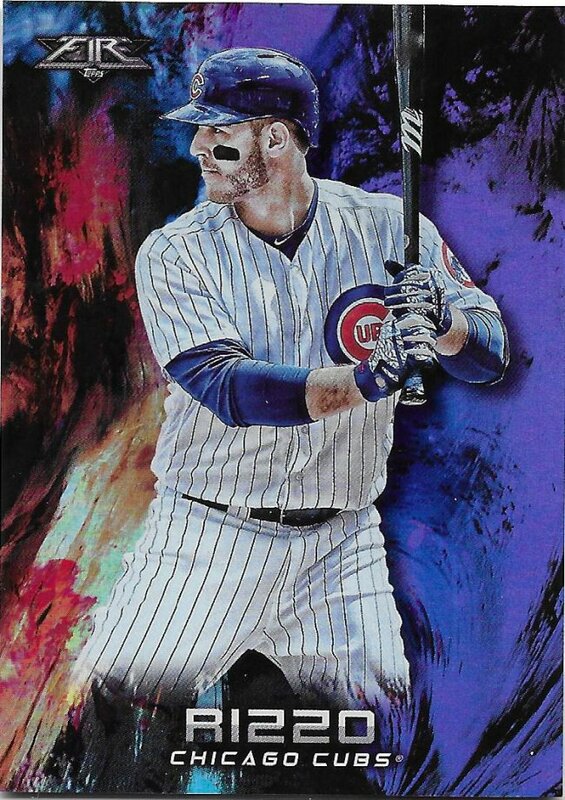 While the Rizzo was #/99, the Purple relic is out of 50. This is my second relic from Fire. The first came in a trade I haven’t posted yet (sorry!!). Okay, so no autograph this month again (and not looking great for November), but I managed a couple big ones that I wasn’t expecting to find. This year has been incredibly kind to my unripped rip card collection, because I got this guy and he brought a friend. I won both from the same seller for a surprisingly low amount of money (when talking about unripped rip cards, that is). 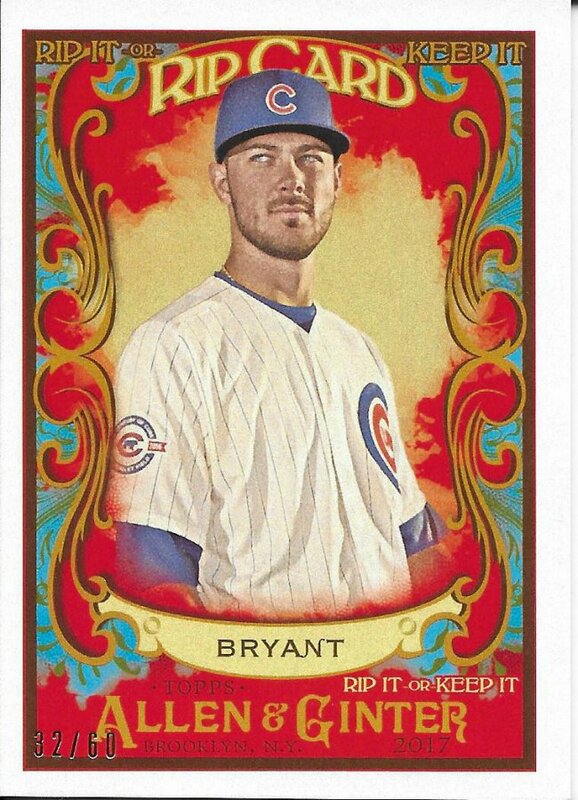 I thought for sure I would be outbid on the Bryant, but there was a good amount of buffer between the end price and my max. 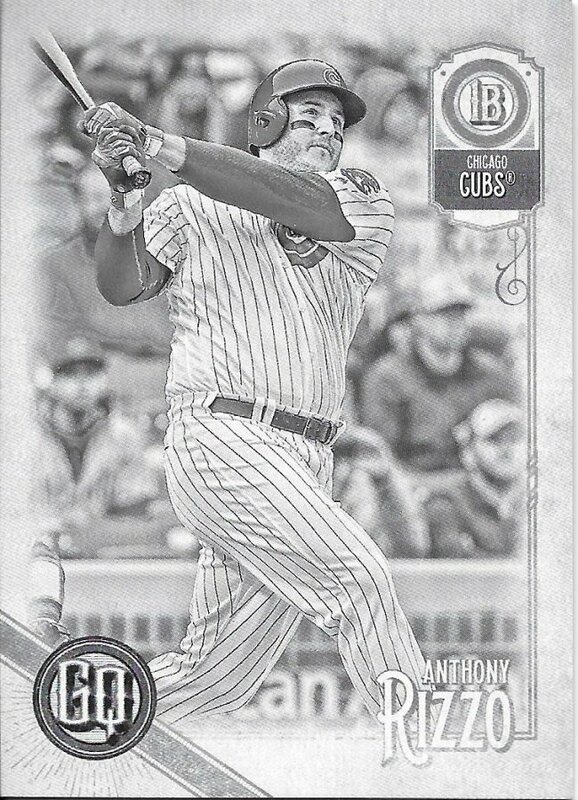 I could be wrong, because I haven’t double checked, but I THINK I have all the 2017 A&G Rip Cards I need. 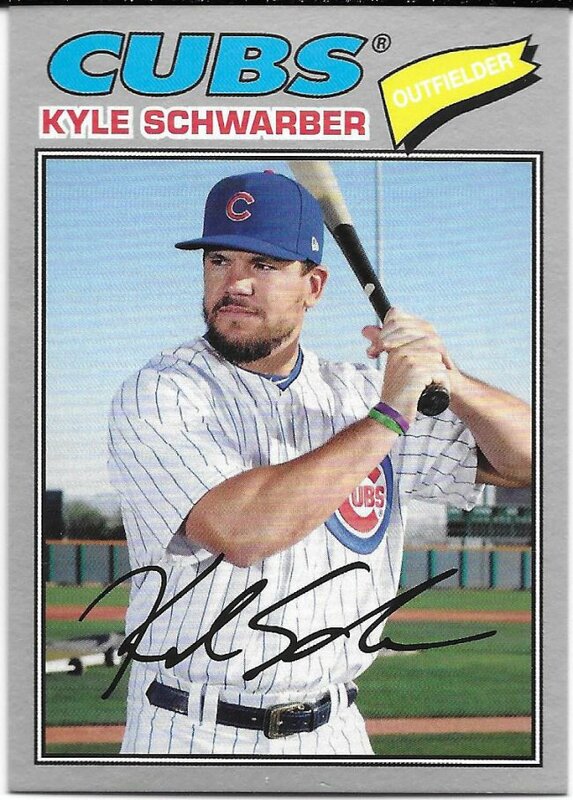 I know that I have Bryant, Schwarber, Rizzo, Maddux, Thomas. If this pace keeps up, maybe I’ll have all years covered by next November. Congratulations on completing the 2017 A&G Rip Card team set. I’ve looked into a few before, but they’re a little too pricey for me. Maybe one day I’ll luck out and pull one.